Posted on October 21, 2016, updated June 17, 2017. Salad or soup? Cup or cone? Ryan Gosling or Channing Tatum? Has anyone else completely had it with being forced to decide between two seemingly fantastic options? The same goes for “Trick or Treat.” What if you want a little trick with your treat, or a dash of treat with your trick? We believe that Halloween can be just as delightful as it is spooky, and because of this “have it all” approach, we went ahead and curated some hauntingly chic Halloween décor examples that will provide you with the inspiration you need to “dead” the halls. So, go on with your bad self and Halloween your heart away! 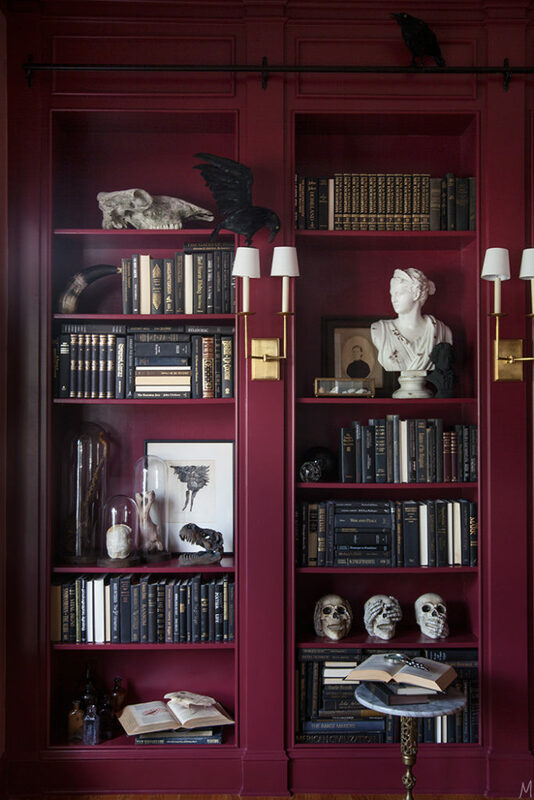 The Makerista is one of our favorites when it comes to home design and her Halloween inspired bookshelves are nothing short of chic! You can’t celebrate a proper Halloween without the proper amount of candy! 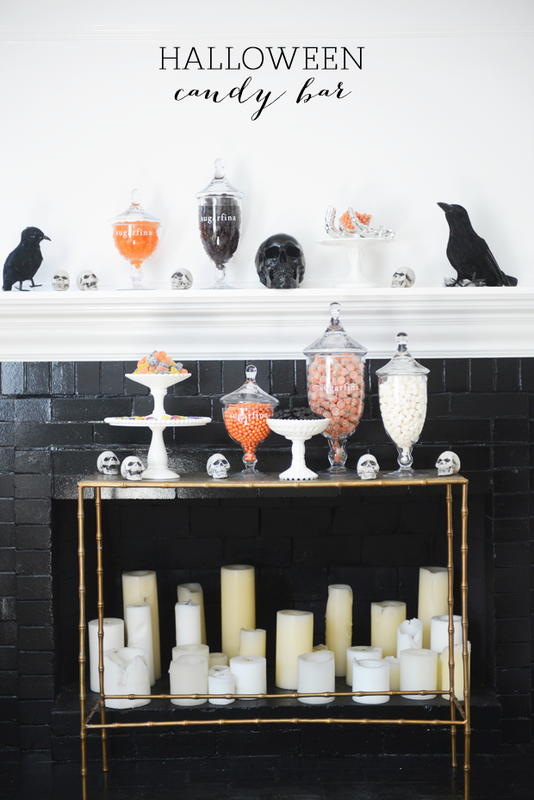 Cupcakes and Cashmere decked this candy bar out with an assortment of pillar candles, decorative skulls and mysterious black crows. Have we mentioned how much we love the color black? 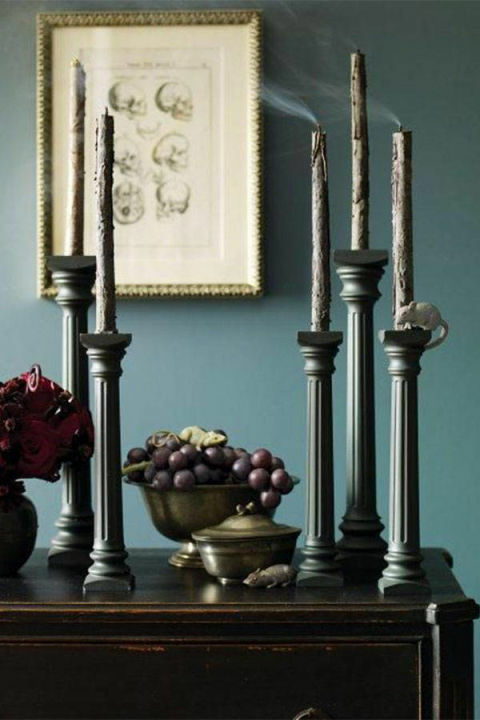 Well we do, and this simple and chic candle display will take center stage at your dark magic inspired dinner party! 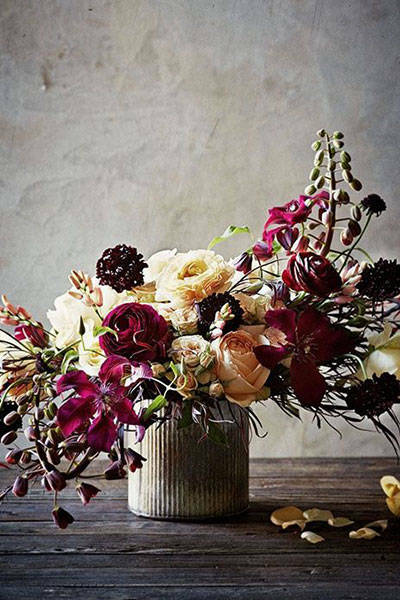 Although hues of blush and oxblood are currently trending in the wedding world, these romantic colors also make the perfect Hallows Eve floral decor when paired with interesting textures and a masculine vase. 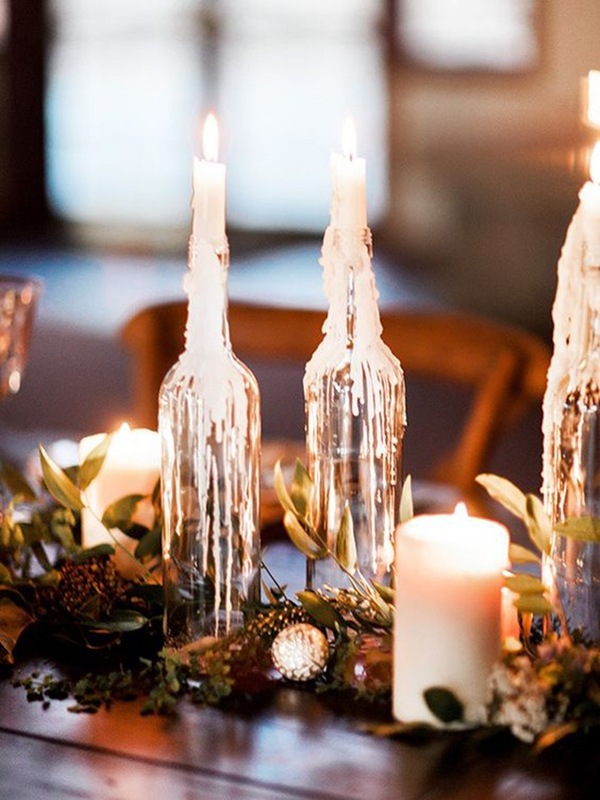 Glass bottles topped with dripping taper candles will add some moody lighting to your mantle, dining room table or any other surface craving some Halloween light! 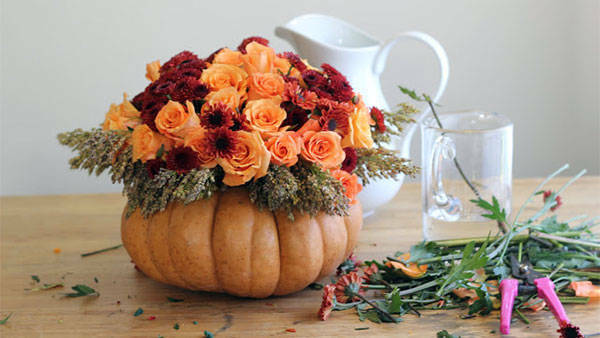 Take your pumpkin carving to a whole new level with this easy but equally impressive pumpkin vase. Create one big arrangement for your dining room table or construct a grouping of sizes and shapes to completely deck out your entryway!